The Standard Box came first but it wasn’t long before we were contacted by real enthusiasts who wanted more storage - so the Big Box arrived…then came dividers engraved with icons for all the expansions - storage done! Accessories in the shape of Ferries, Bridges and Castles came next, along with the Tile Tower Dispenser - all of which add to the pleasure of playing a great game. Our latest addition to the collection is a Travel Box - ideal for a quick game on the go..
We’re always busy with new ideas for Carcassonne - if you have something in mind, please do contact us with your ideas. All our Carcassonne boxes have been designed exclusively by us and are made from 3.6mm hardwood ply which is laser cut and engraved before being assembled in our Devon workshop. Each one is given several coats of varnish which seals and protects the beautiful colour of the wood. Each one will be slightly different depending on the wood available at the time. Designed to be beautiful and functional, we hope our boxes last a lifetime and add to your pleasure of a wonderful game. Please note - all Postage prices are for postage to the UK - please contact us for overseas postage costs. 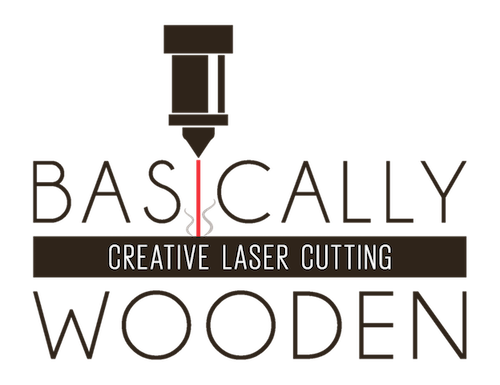 The Big Box is perfectly cut by laser from 3.6mm hardwood plywood. The colour and character of the finish is unique and depends on the plywood available. The Box measures 340mm wide x 410mm deep x 92mm high and will accommodate between 600-700 tiles in 8 trays depending on how many dividers are used. 16 dividers are included in the price - there are 46 dividers in total - additional dividers are available in Accessories. There are 9 additional little boxes of various sizes for your accessories. The largest one will hold all 6 sets of meeples with space for more. The large tray has space for bridges, ferries, gold and other tokens, plus space for the scoreboard and rule sheets. When in place, the tray fits nicely holding the tile trays and boxes safely in place. Every Box comes with the Carcassonne C beautifully etched into the lid. Please note the game contents are not included. The Standard Carcassonne Box is perfectly cut by laser from 3.6mm hardwood plywood. The colour and character of the finish is unique and depends on the plywood available. The Box measures 340mm wide x 215mm deep x 92mm high and will accommodate up to 320 tiles in 4 trays depending on how many dividers are used. 8 dividers are included in the price - there are 46 dividers in total - additional dividers are available in Accessories. There are 8 additional little boxes of various sizes for your accessories. The largest one will hold all 6 sets of meeples with space for more. The tray has space for bridges, ferries, gold and other tokens, plus space for the scoreboard and rule sheets. When in place, the tray fits nicely holding the tile trays and boxes safely in place. A Travel Box for players who don’t have tile trays already - the Box comes with 2 full size trays and a small accessories box which fits snugly into one of the trays - you could use the box to separate your tiles too. The Box measures 210 x 135 x 70mm - the trays are the same as the ones used in our Big / Standard Boxes and will hold approximately 135 tiles. The final touch is a scoreboard engraved onto the bottom of the box - empty the box, turn it over and start the game! The Travel Box will take the Tile Tower Dispenser in place of the trays too! The Travel Box with accessories box is designed for those who already have the tile trays from one of our Storage Boxes - this one comes with an accessories box for meeples or other tokens. The Box measures 210 x 135 x 70mm and has the scoreboard engraved onto the bottom of the box. All our Carcassonne boxes have been designed exclusively by us and are made from 3.6mm hardwood ply which is laser cut and engraved before being assembled in our Hereford workshop. Each one is given several coats of Valspar varnish which seals and protects the beautiful colour of the wood. Each one will be slightly different depending on the wood available at the time. Designed to be beautiful and functional, we hope our boxes last a lifetime and add to your pleasure of a wonderful game. I recently purchased one of your Carcassonne Tile Towers via ebay and took delivery last week. I really have to say that I was blown away with the quality of the manufacture and the finish! The tower is a superb item which is both functional and looks great. It has already been very well used! I have a birthday coming up soon and I intend to ask for one of your large Carcassonne boxes as a present, entirely on the basis of how happy I am with this purchase. Keep up the good work folks! Hi Sue, It's arrived and I'm speechless! I'm soo happy can't wait to put it to use - the push clasp at the front is great, so many little boxes to keep everything in, the dividers are mint, just amazing. Brilliant work. :) Thanks for the great service and look forward to what else you come up with.